This sounds like a fun adaptation, except for the skeletal synopsis to Jin Yong’s The Deer and the Cauldron. 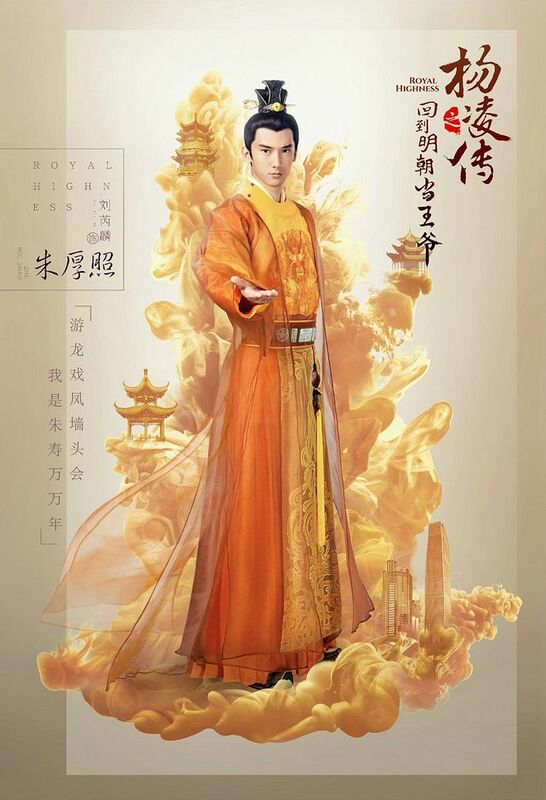 Royal Highness is the drama adaptation of novel, Back to the Ming Dynasty as a Wang Ye (回到明朝当王爷), featuring a slew of your favorite fresh faces in Jiang Jin Fu (Love Me & Convince Me), Crystal Yuan Bing Yan (The Mystic Nine), Wayne Liu (Who Sleeps My Brother), and Zhang Si Fan (Demon Girl). 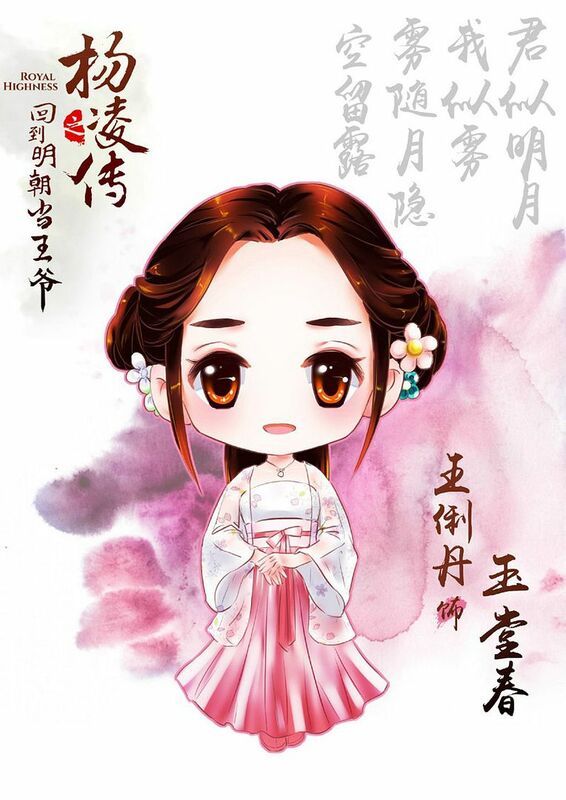 Our male lead is a lucky man who was supposed to die early in life but is spared by the Hell Emperor after he saved a person and is given three years to live. 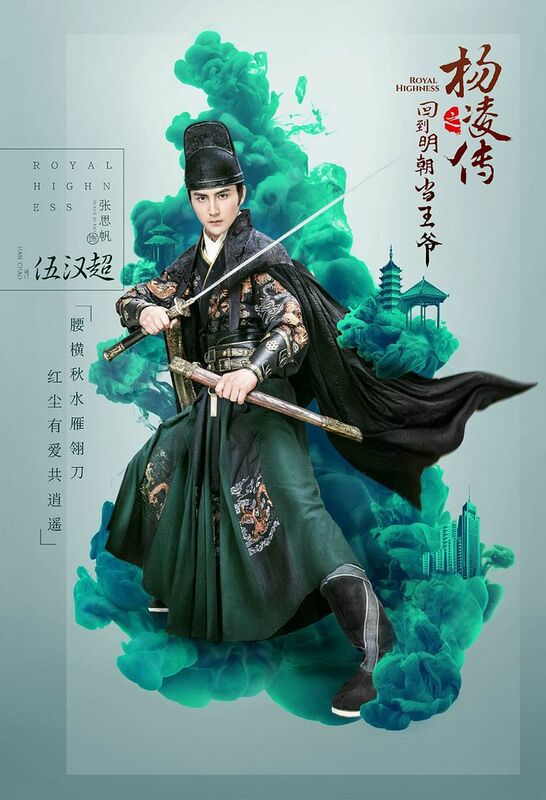 With his smooth talk with the soldiers in hell, he’s reincarnated back to Ming dynasty into the body of a young scholar – who is neither a great scholar or great fighter. 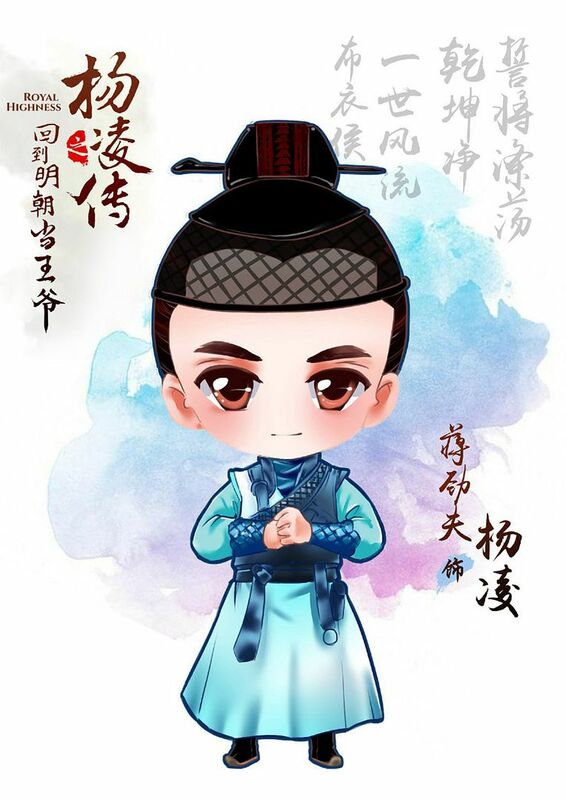 But somehow, he manages to achieve great things in life, becoming a Wang Ye, being best friend with the king, winning wars and building a legacy behind his name, including a long line of beautiful wives. 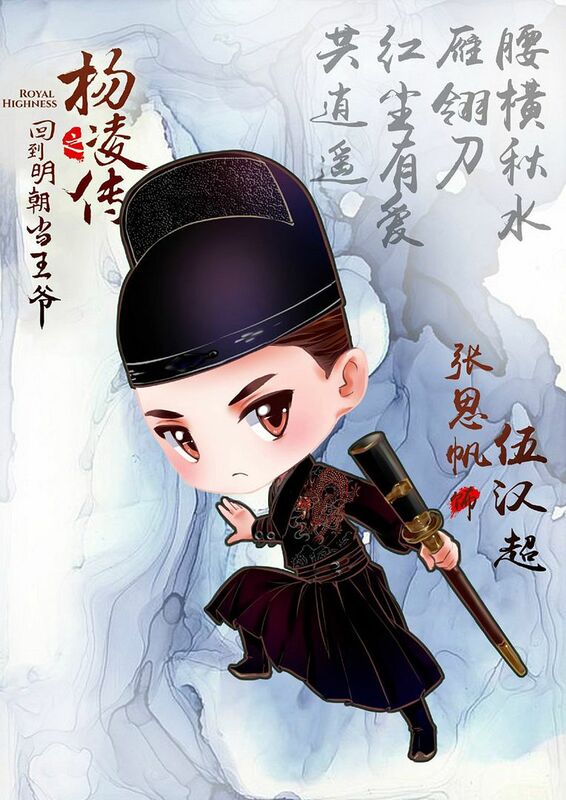 Jiang Jin Fu. The costumes for this production are stunning! Lookie! 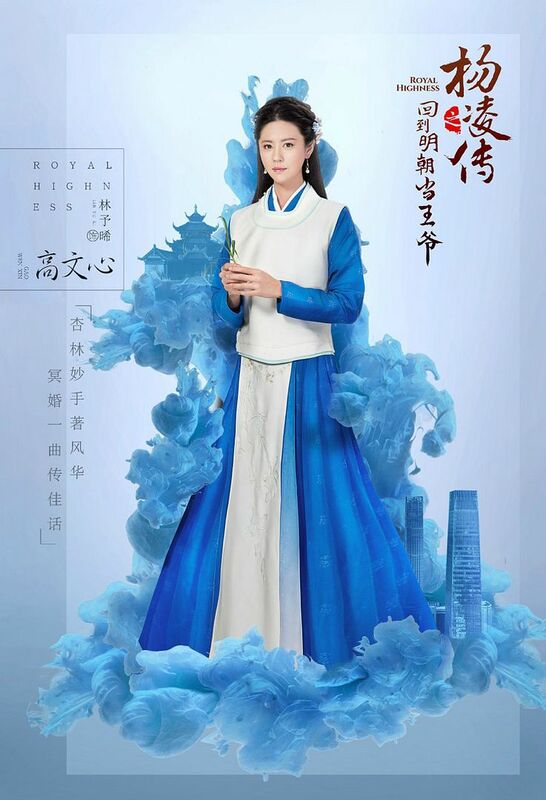 Crystal Yuan Bing Yan. His first docile wife. Wayne Liu Rui Lin. 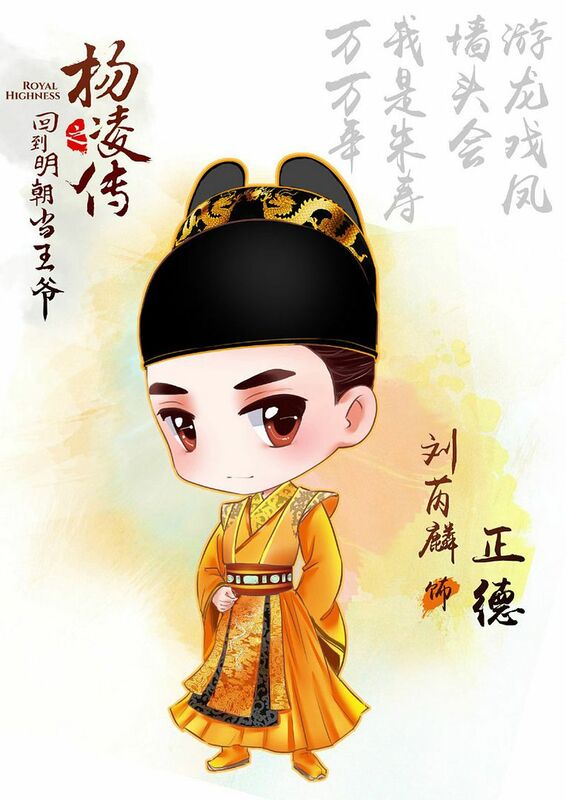 Tenth emperor of the Ming Dynasty. He reminds me of Kenny Kwan. Heh. Zhang Si Fan. Has a bromance with the hero. Of course. 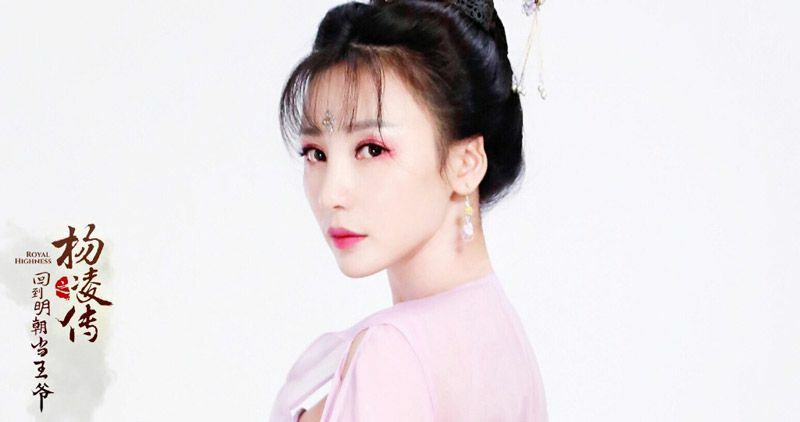 Liu Yan. Even her? Jiang Jin Fu, you lucky duck. 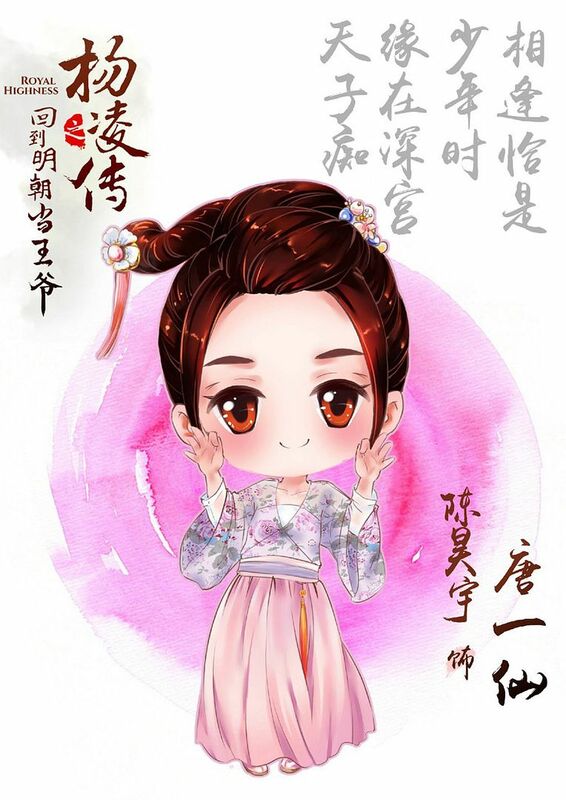 The Chibi drawings are so cute. 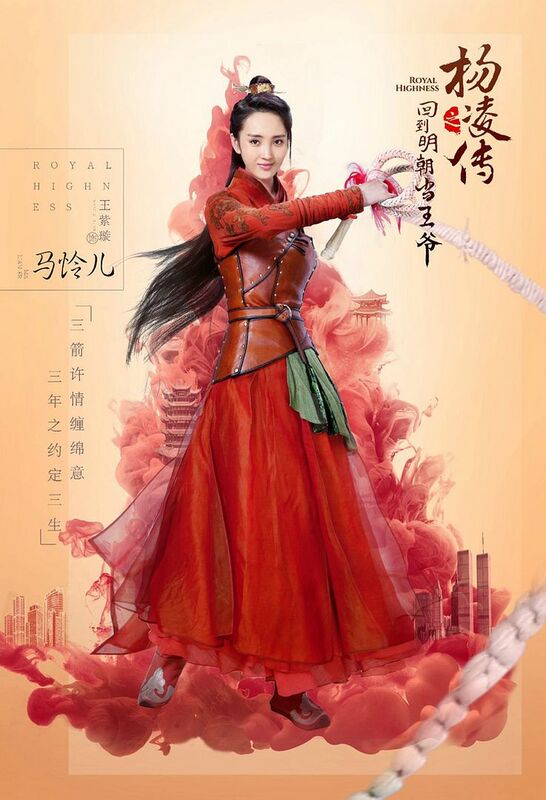 Directed by Hsu Chin Liang (Wind and Cloud), Royal Highness plans to have 40 episodes. Filming is still in session. 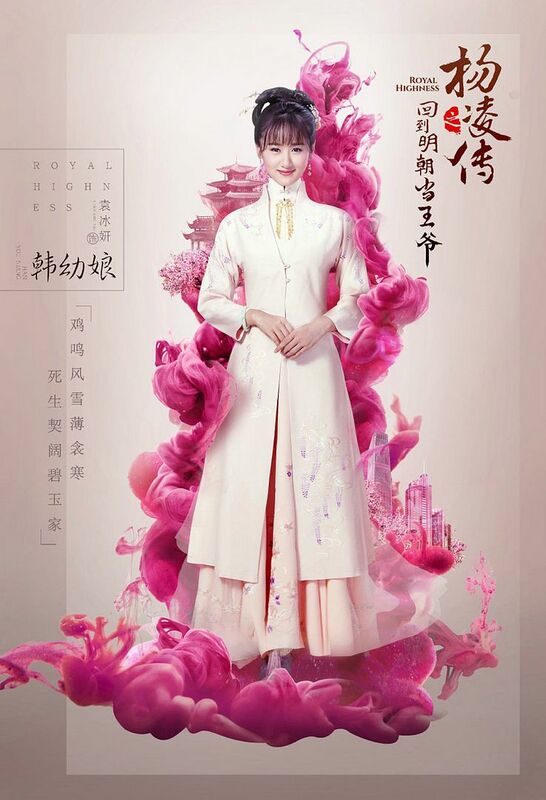 This entry was posted in Entertainment News and tagged Allison Lin Yu Xi, Amy Chen Hao Yu, Cdrama, CiCi Wang Zi Xuan, Crystal Yuan Bing Yan, Jiang Jin Fu, Liu Yan, Novel Adaptations, Royal Highness (回到明朝当王爷之杨凌传), Wang Li Dan, Wayne Liu Rui Lin, Zhang Si Fan by Kappy. Bookmark the permalink. I absolutely have no liking towards drama or novel that has plots like this. 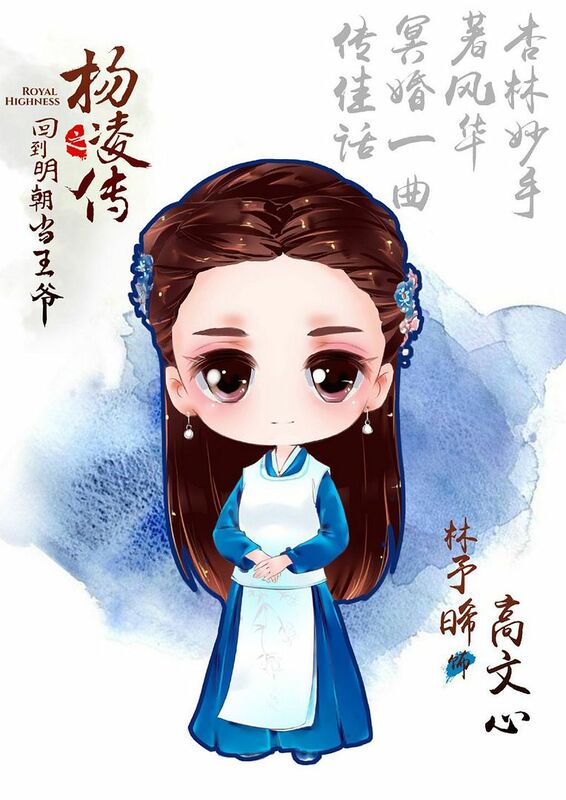 种马男主 is an absolute no for me, and what’s worse, the male lead has nothing worth mentioning except for his good luck. It just doesn’t make sense that such male leads will have lots of admirers! Did not like Wei Xiao Bao too! Oh well! 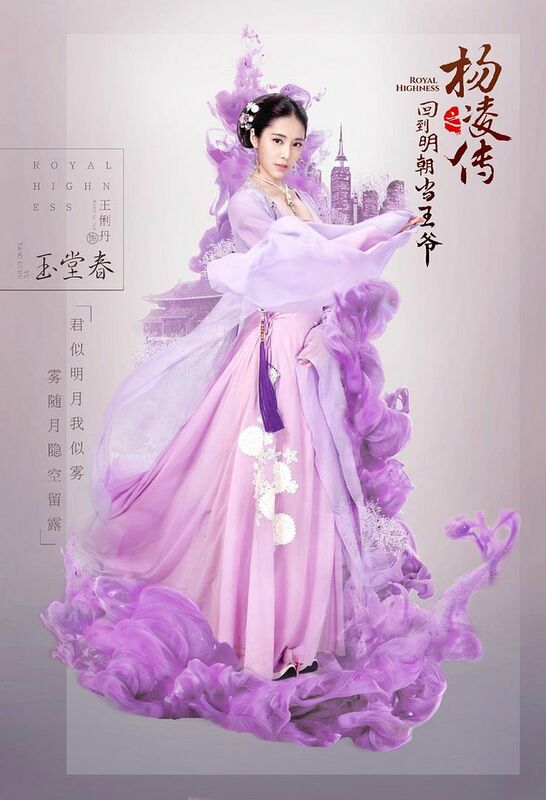 Yuan Bing Yan looks gorgeous here! 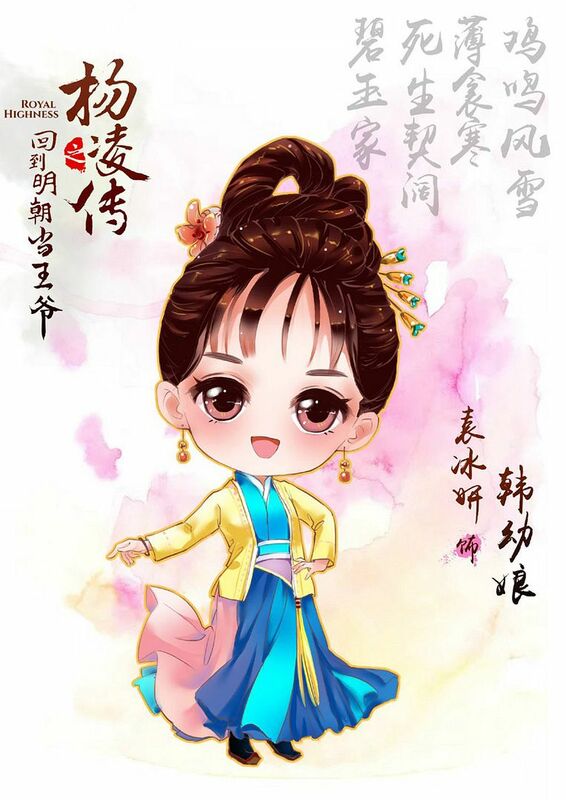 Glad that she is taking up the female lead role! 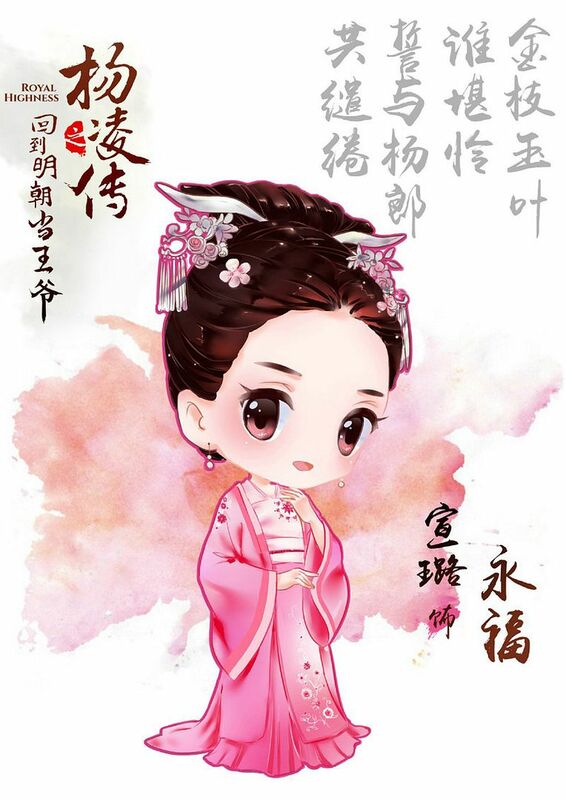 She was a joy to watch in Mystic Nine, totally carried the scenes she had with Yi Xing! Lol. 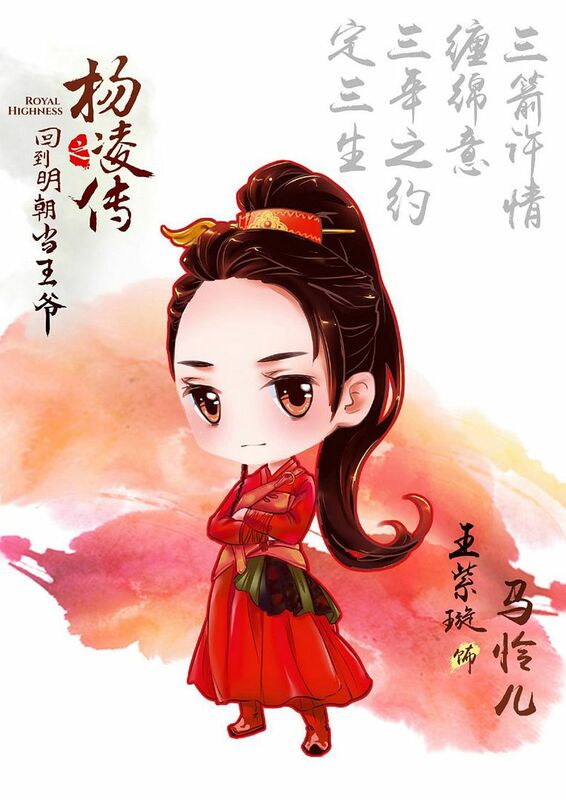 Now that I’m older, I understand why the males in my family like Wei Xiao Bao so much. XD I don’t. Nopeeeeeeeee! 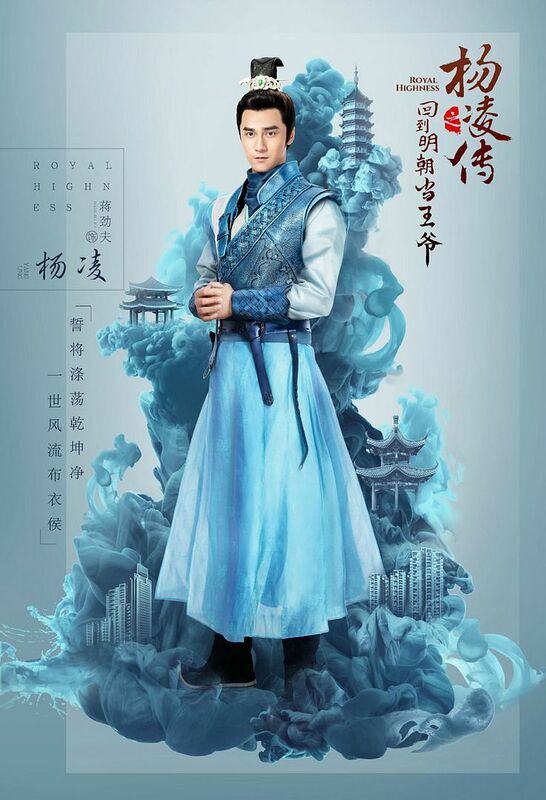 Lovely cast but not liking the fact that he’s essentially another version of Wei Xiaobao. I’ll pass on this one though I do love the animated posters. Too cute. Where are the male fans for this harem of lovely ladies?